How would you set a default type of wheel to spawn with a vehicle? I'm trying to figure out if there is a way to spawn a vehicle with a certain wheel type, is that possible? I'm not talking about the category like sport, or high end, but the actual wheel design for example the High End category has 40 wheels, but I want ''xxxxx" car to only spawn with design number 15 of the high end wheels category. Is this possible to configure in some meta file? It could be done using 'vehiclemodelsets.meta' but it would be rather convoluted & a bit restrictive as the vehicle would only ever spawn in certain set locations around Los Santos. Basically, vehiclemodelsets controls the upgraded/mod kitted cars you have probably seen spawning in a few select locations (ie modded cars that randomly/intermittently turn up always driving down the same street etc). Like the modded ones outside/around Los Santos Customs. They are defined in vehiclemodelsets also. Have a look in the file, there are quite a few different 'CAmbientModelSet' locations to choose from (153 by my count. Although a lot are Airport/Lifeguard/Police etc ones). You won't know where they spawn (unless you have seen the upgraded vehicle on the streets in the past & can recognise it in the file from it's vehicle name & upgrades choices). The spawn location info is not recorded in the file. I presume there are special ymap car generators dotted around the games ymap files that vehiclemodelsets uses. Something like that anyway. Note: You can find the 'BodyColour1/2/3/4' values & match them to certain colours using this LSC Vehicle Colours Index Chart. & they would spawn default but with the wheels you defined in the '<ModType>VMT_WHEELS</ModType>' '<ModIndex value' line . The only issues I can see is that you will either have to find a way to define a random colour combination in the '<BodyColour1 value=' lines. Maybe '0' or '-1' might make the game choose a colour at random or removing the lines & defining a random colour in the actual car generator in the ymap (not sure about any of that. Pure guess work) or you would have to add multiple different coloured cars into the file in which case I suspect the game at some point (once you added too many vehicles to the file) would start acting a bit funny & doing things like swapping cars for aeroplanes & trying to make them takeoff from the airport runways (yes, that has happened lol). As mentioned, it is a bit convoluted & restrictive but I don't know of any other way that I have any actual evidence of. then fill that category with only one set of wheels (wheel_sabre_01.ydr) the game would have no choice but to put the same set of wheels on any vehicle that had 'VWT_SABRE' set in it's 'vehicles.meta' file. ...Trying to find a file that might allow me to define a new wheel category (VWT_SABRE etc) is all that is missing from this hypothesis. One way that could work (but only for one car) would be to ditch all the say... low rider wheels & only have your one select set of rims in there & then use 'VWT_LOWRIDER' in the vehicle's '<wheelType>' line in 'vehicles.meta' (making sure to remove it from other vehicles also)... or ditch the wheels you don't like from all the categories freeing up space in one category to use in this way. 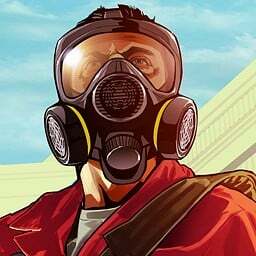 @FalqGTAV - Pro tip: Get used to that Guy above and take a day-off whenever you ask Him a question. Although I'm not sure if 'VWT_SUPERMOD1' & 'VWT_SUPERMOD2' can be used in 'vehicles.meta' '<wheelType>' line & spawn on ambient cars on the streets? I think they might be mod shop only. I also happened to notice that modded add-on/replace vehicles always spawn with the default wheels defined in their '.yft' so I actually think the easiest way to do this might be to break out ZModeler3 & use that to set a specific wheel in the '.yft'. I also think the wheel that's in the '.yft' overrides any wheel category set in 'vehicles.meta' so if you want to do this with a modded add-on/replace vehicle ZModeler might be a good way to get it done.